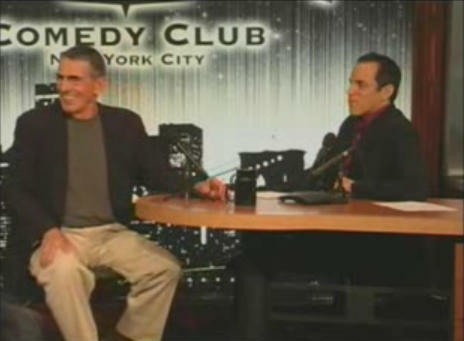 Leonard Nimoy has been interviewed for the documentary Hava Nagila: What Is It in 2011. A film realized, in part, through individual donations. More at the production companies website and here. 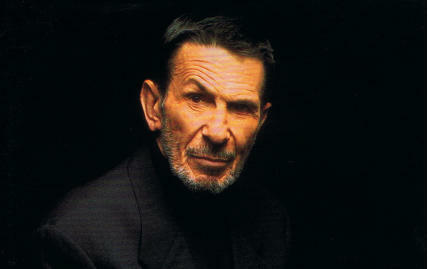 Leonard Nimoy - Memories of a Boston Boy. 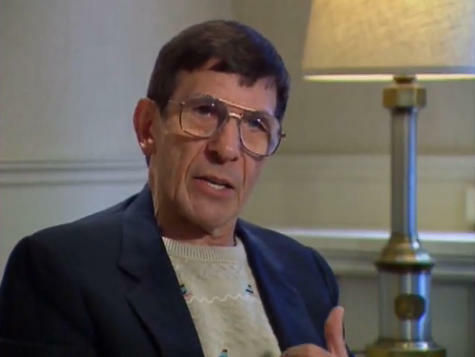 In May Mr. Nimoy spoke at Boston University and in a video for the Howard Gotlieb Archival Research Center he "reflects on his childhood growing up in the West End of Boston." 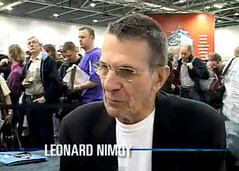 YouTube Description: "Mark Walters of http://bigfanboy.com talks to Leonard Nimoy in a rare interview shortly after his appearance at the Dallas Comic Con in May of 2011. 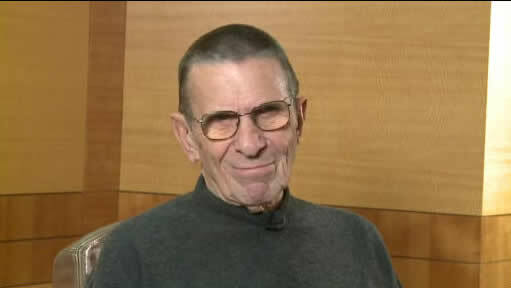 The man best known for playing Mr. Spock in STAR TREK talks about his retirement from the convention scene, and his upcoming voiceover role in Michael Bay's TRANSFORMERS: DARK OF THE MOON, in which he plays Sentinel Prime." 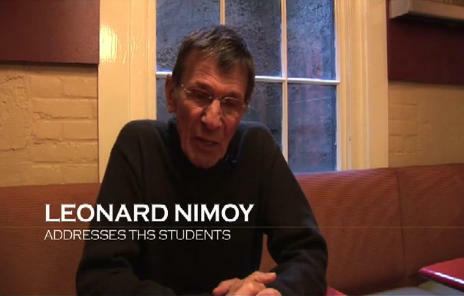 Leonard Nimoy encourages students to read and expose themselves to ideas. 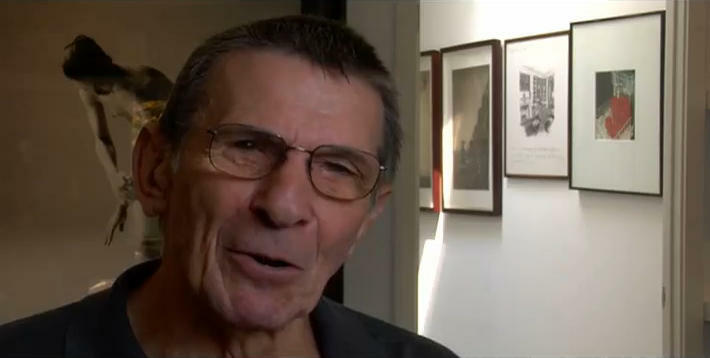 The BBC uploaded an article and interview with Mr. Nimoy about his visit to Vulcan, Alberta. 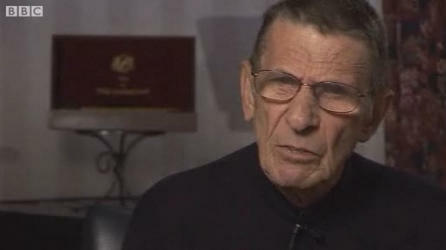 "KOMO's Matt Markovitch got to interview Star Trek legend Leonard Nimoy, who will be at the Washington State Convention and Trade Center this weekend for the annual Emerald City ComiCon. The actor, of course, has had many roles in his career. 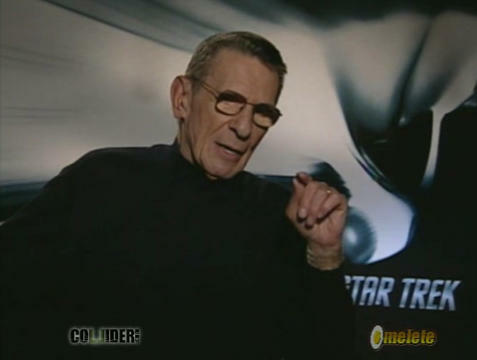 But the role of Spock is what he is known for best." A clip from Ovation TV whose motto is: make live creative. 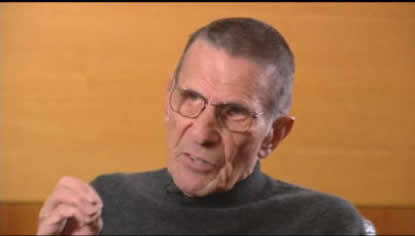 YouTube description: "In this edition of Every Big Artist Starts Small, Leonard Nimoy talks briefly about how he got started in photography before becoming famous for his character, Spock on Star Trek. We get a glimpse of his artwork and his inspiration." 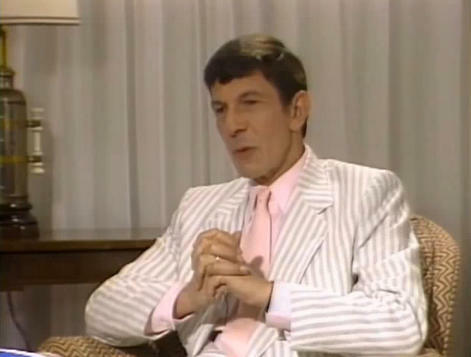 A number of Star Trek related interviews and talk shows with Leonard Nimoy collected from the internet. 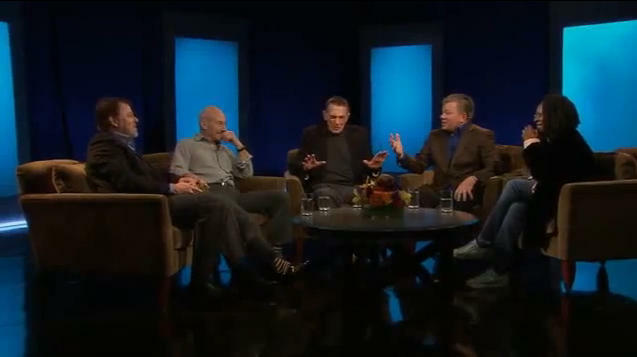 Leonard Nimoy, William Shatner, Jonathan Frakes, Patrick Stewart, and Whoopie Goldberg get together to talk about their Star Trek experience. 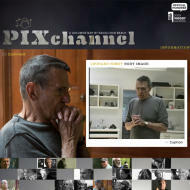 Leonard Nimoy was interviewed by one of Germany's three leading news magazines. Topics included Shekhina, The Full Body Project, his current photography project and the upcoming Star Trek movie. When Leonard Nimoy Met Jack Kennedy. (Video) For all 6 parts of the interview go to Daily Comedy.com. Topics: going to Russia, stories about his family, never considered choosing a stage name, Never Forget, origin of the Vulcan salut. Go here for the video. 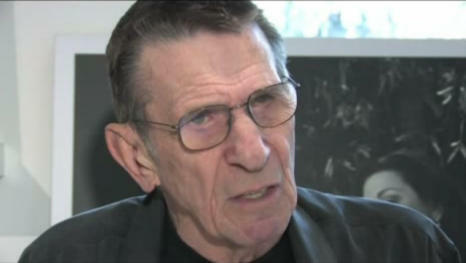 Mr. Nimoy talks about The Full Body Project, photography being relaxing to him, being done with acting and directing. YouTube. In this documentary Mr. Nimoy talks about his memories of the moment people first set foot on the moon, how science fiction influences science, Star Trek's influence, and SETI. The DVD contains two episodes with clips of him in both, To the Moon... and Beyond the Moon. Available at Amazon. To the Moon Part 1 Part 2 Part 3 Part 4 Part 5 Part 6 , Beyond The Moon Video. Leonard Nimoy talks about Vulcan prejudice, returning to the classic traditions of Star Trek, how he would feel if this was really (really!) the last voyage for the original crew. Topics: Did he have a hand in shaping Spock's death. A new writer, director and producer for the movie leads to questions of "do we have it this time? ", looking back what was it like first seeing himself in the Spock make-up for the series, how did he get into the character, Trek's effect on the young people who love it so much.